Download "Page 1. 6. Which hydrocarbon is a member of the alkane series? (1) 1. Which is the structural formula of methane? (1) (2) (2) (3) (3) (4) (4)"
Regents Review Mr. Beauchamp 1. Which general formula represents t he homologous serie s of hydrocarbons that includes the compound l-heptyne? 10. Which formula represents an unsatur ated hydrocarbon? 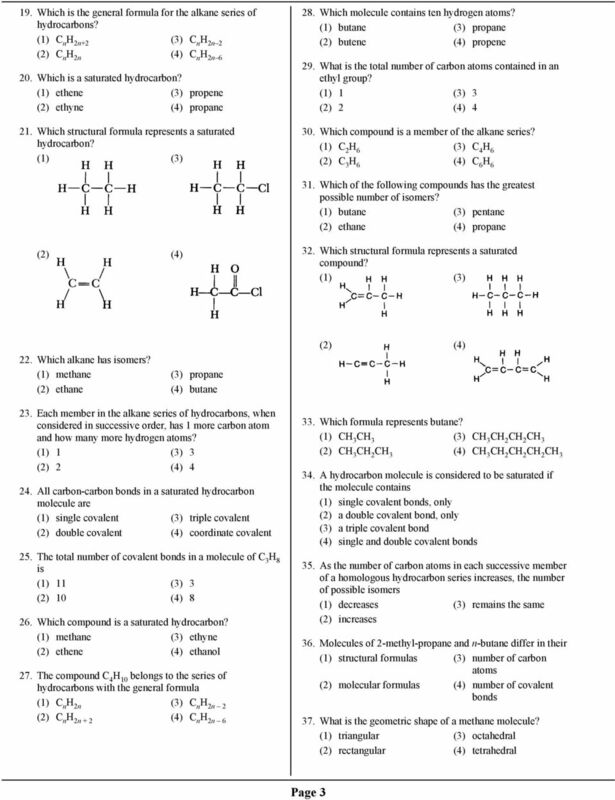 Mr. Kent s Organic Chemistry Unit Notes I Basic Concepts A. Organic Chemistry-The study of containing compounds. 1. They occur extensively in nature because all living things are made of containing compounds. 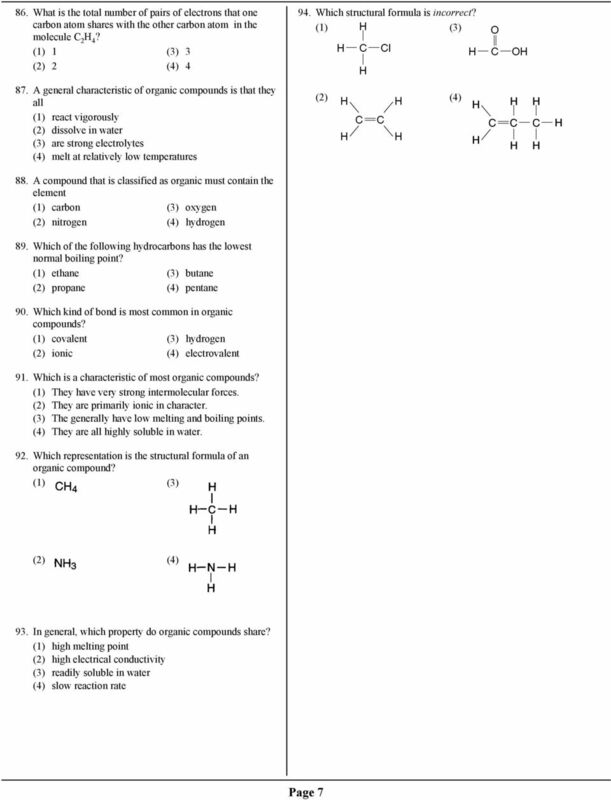 Chapter 10 Introduction to Organic Chemistry: Alkanes. Organic Chemistry. 10.1 Organic Compounds. Organic vs. Inorganic. 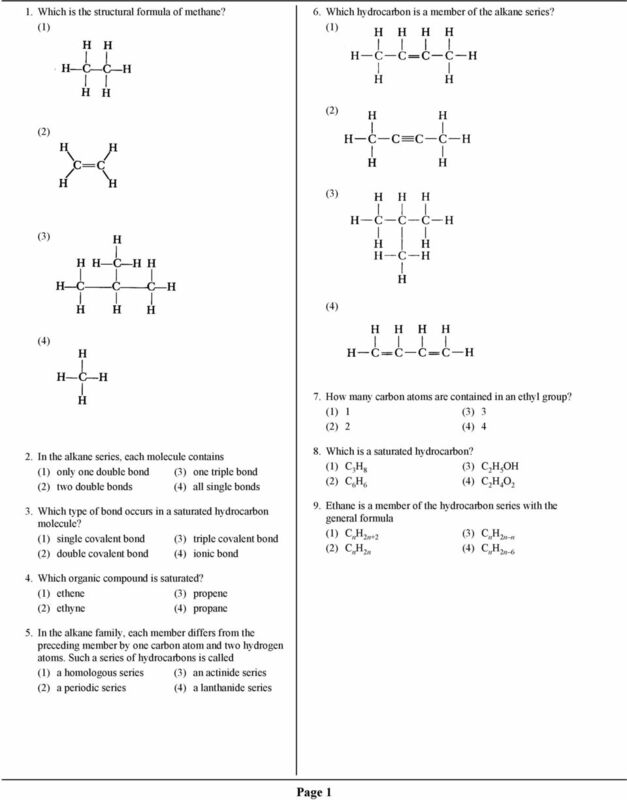 Question (3): What are the different types of covalent bonds found in carbons compounds? Briefly explain with examples. HYDROCARBONS. Methane is the smallest hydrocarbon with the chemical formula of CH 4 and the structural formula of H C H.
Chapter 13 Organic Chemistry 13-1. 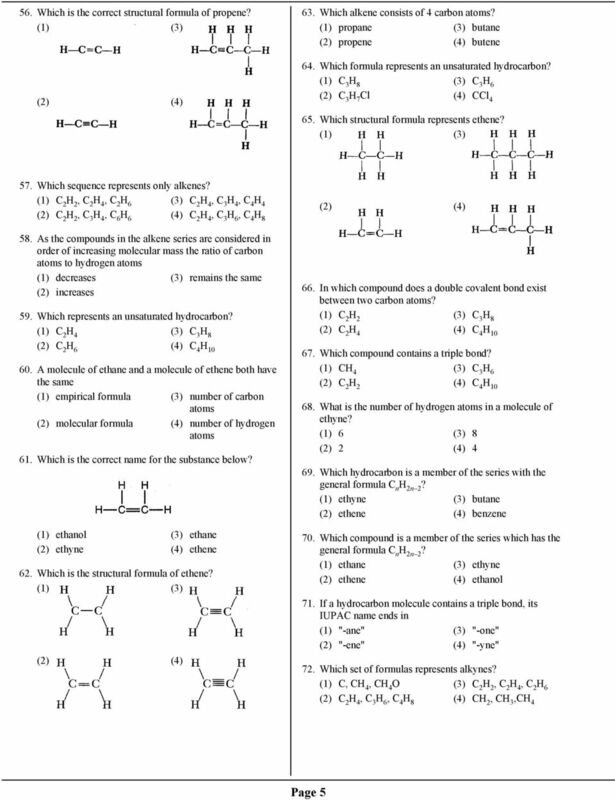 Carbon Bonds 13-2. Alkanes 13-3. Petroleum Products 13-4. 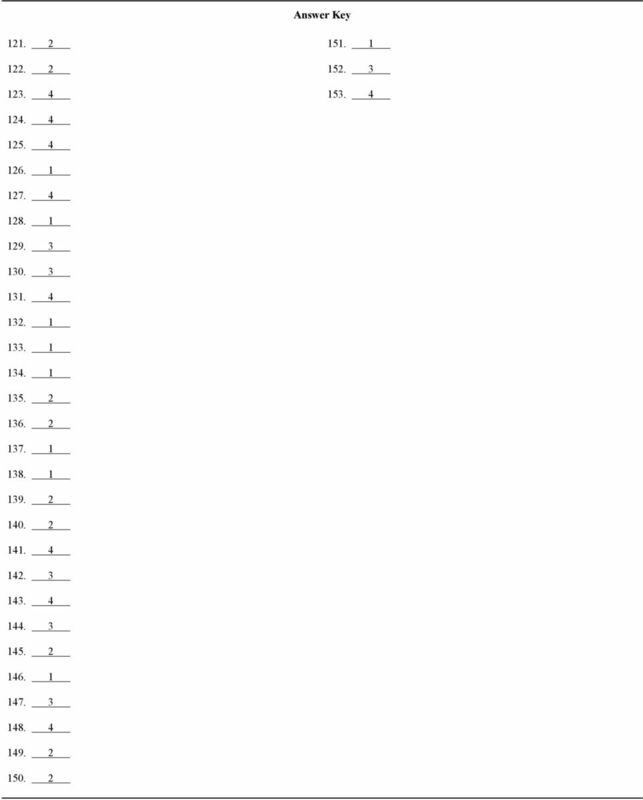 Structural Formulas 13-5. Isomers 13-6. 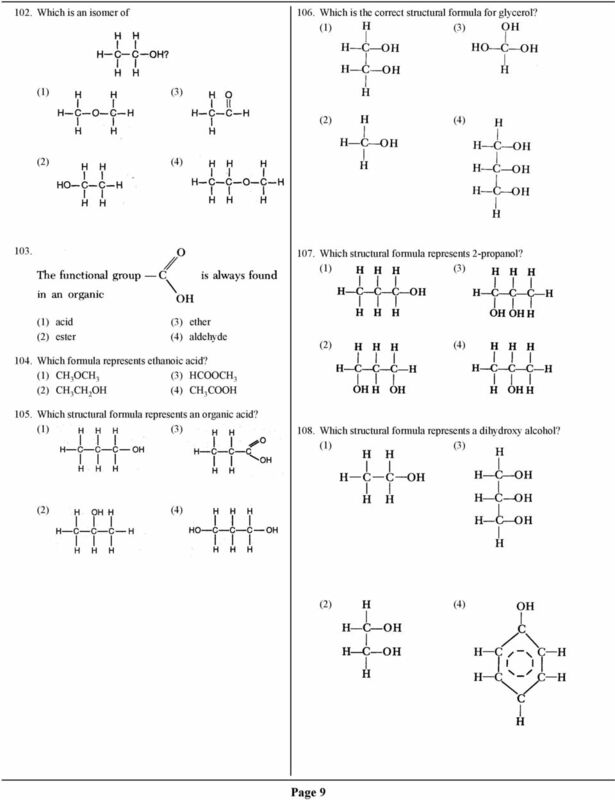 Unsaturated Hydrocarbons 13-7. Benzene 13-8. Hydrocarbon Groups 13-9. 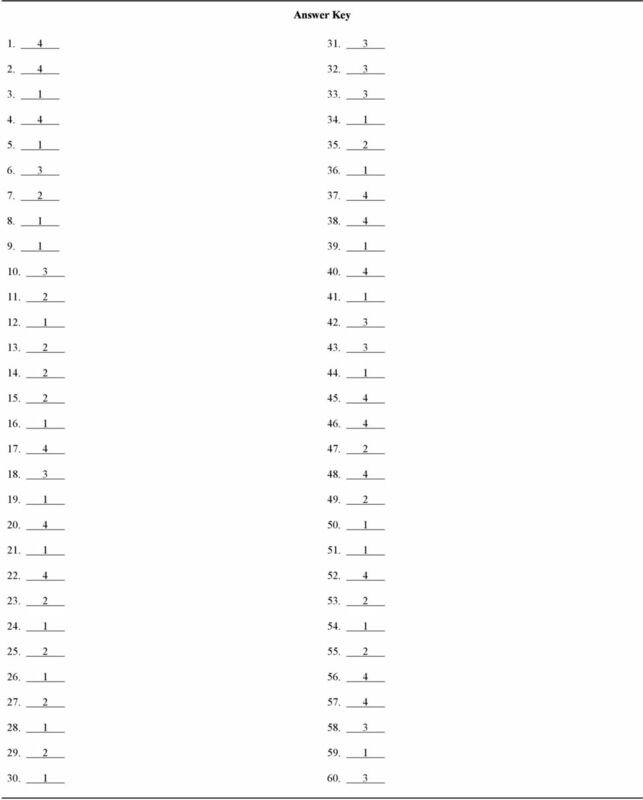 Name Date Class STUDY GUIDE FOR CONTENT MASTERY. Alkanes In your textbook, read about organic chemistry, hydrocarbons, and straight-chain alkanes. E1. Write the structural formula of the heptane and 2,2,4-trimethylpentane molecules. EA1. E1. Write the structural formula of the heptane and 2,2,4-trimethylpentane molecules. EA1. E2. What is the name of the straight-chain hydrocarbon that has same molecular formula as 2,2,4-trimethylpentane? Fuels. sea bed. land. 7. When sulfur dioxide reacts with water in the atmosphere, acid rain is produced. 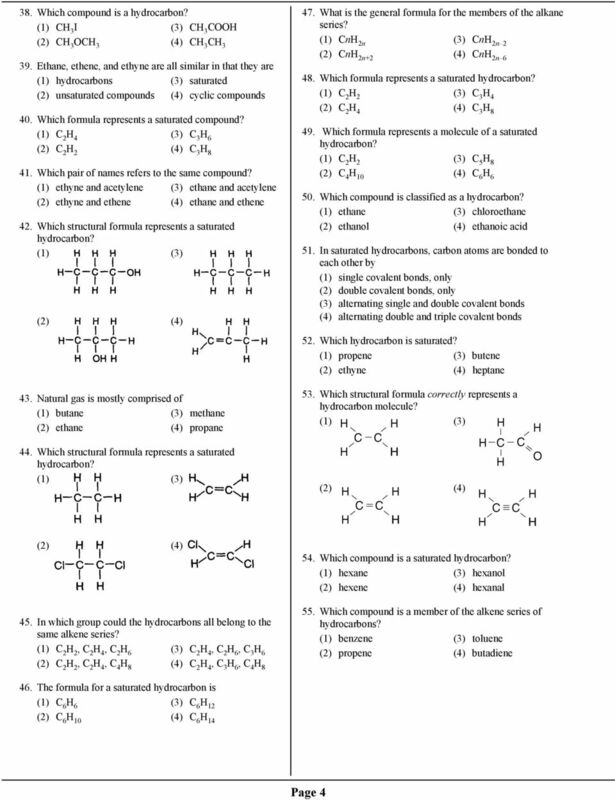 Answers to Review #3: Naming, Physical Properties and Reactions of Organic Compounds (Chap.1 & 2) 1. Name the following organic compounds using their IUPAC names. Identify the type (family) of each compound. Alcohols An alcohol contains a hydroxyl group ( OH) attached to a carbon chain. A phenol contains a hydroxyl group ( OH) attached to a benzene ring. Chapter : rganic Compounds with xygen Alcohols, Ethers Alcohols An alcohol contains a hydroxyl group ( H) attached to a carbon chain. A phenol contains a hydroxyl group ( H) attached to a benzene ring. F322: Chains, Energy and Resources Alkanes. 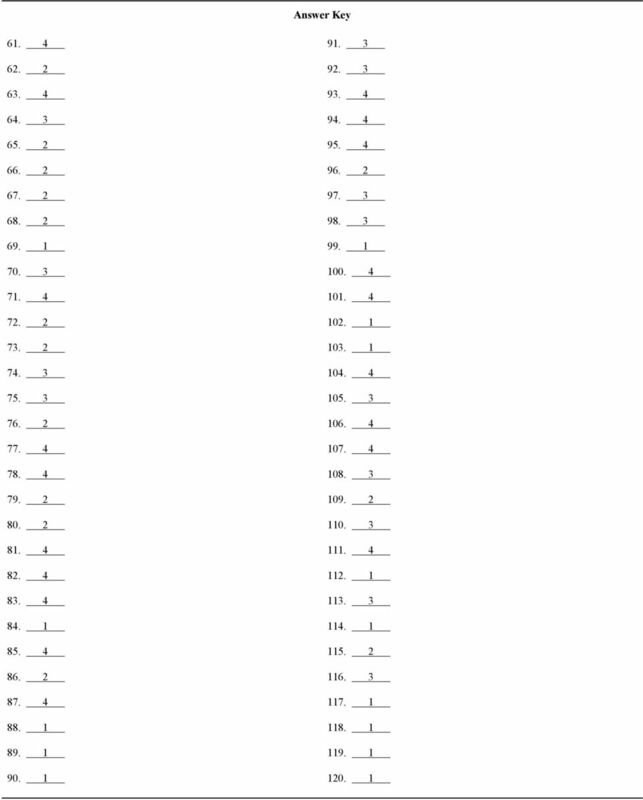 NOMENCLATURE OF ORGANIC COMPOUNDS 2010, 2003, 1980, by David A. Katz. All rights reserved. 3/9/2012. First Ten Alkanes. 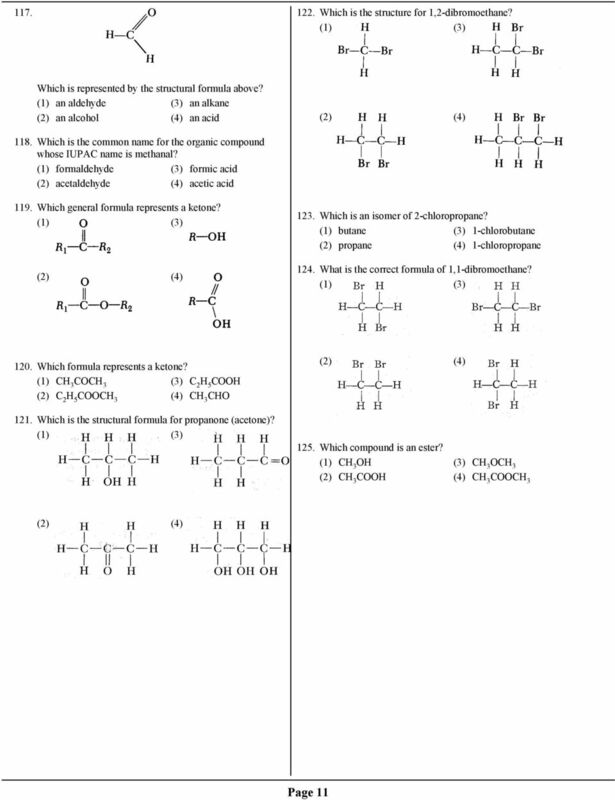 Simple Organic Chemistry Basic Structure and Nomenclature. (Nomenclature) Rules for Naming Alkanes. 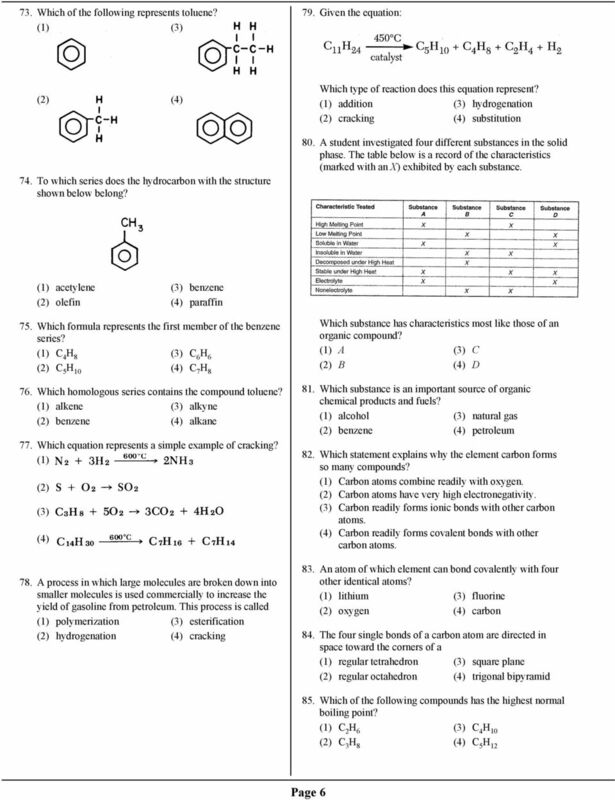 C1 Crude Oil Quiz. A reaction between oxygen and a fuel that releases energy. 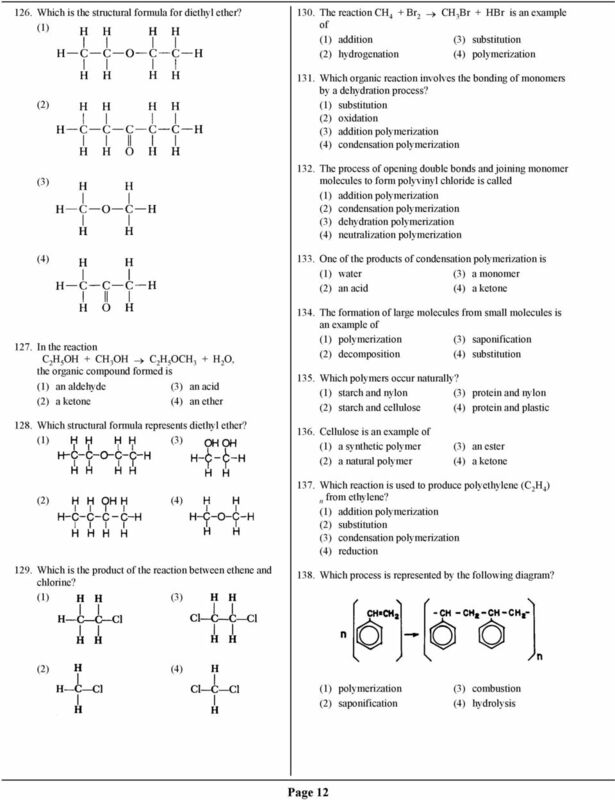 CHEM 203 Exam 1. KEY Name Multiple Choice Identify the letter of the choice that best completes the statement or answers the question. 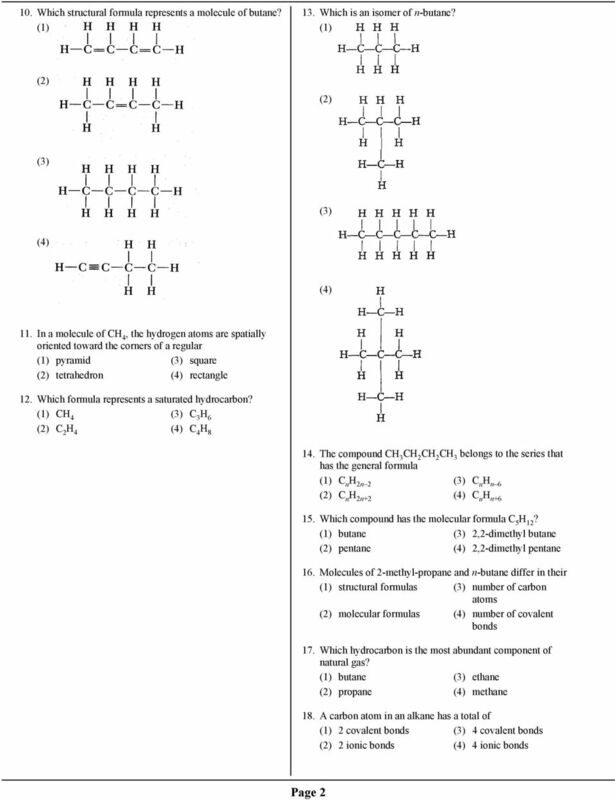 SS2009-08-24 MULTIPLE CICE QUESTIS Part 2: unktionella grp intermolekylära krafter (Answers on pages 17-18) Topic: Intermolecular forces 1. Which compound would you expect to have the lowest boiling point? 1. The functional group present in carboxylic acids is called a A) carbonyl group. B) carboxyl group. 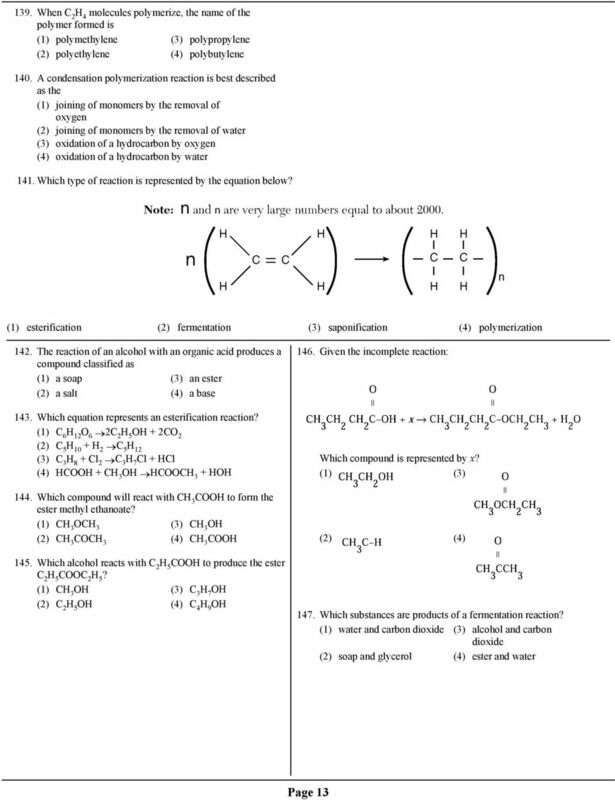 C) carboxylate group. D) carbohydroxyl group. 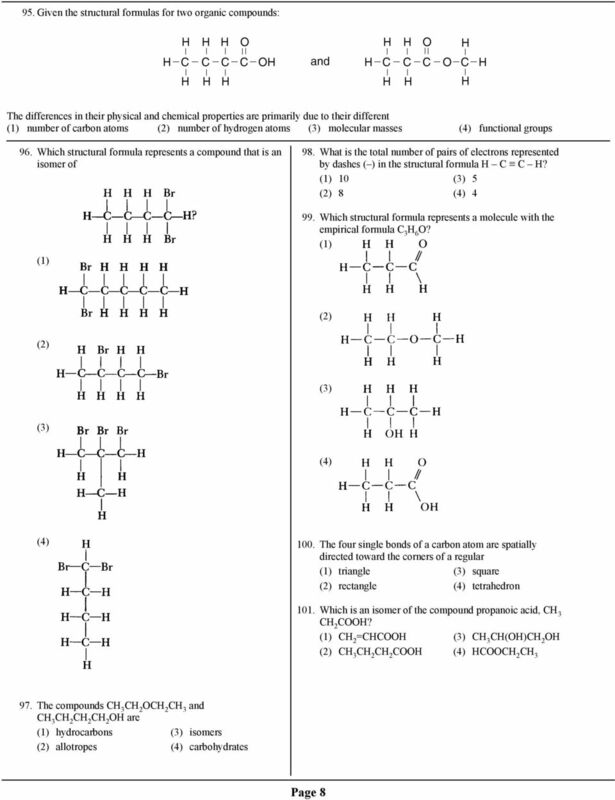 Ch17_PT MULTIPLE CHOICE. Choose the one alternative that best completes the statement or answers the question. Ch. 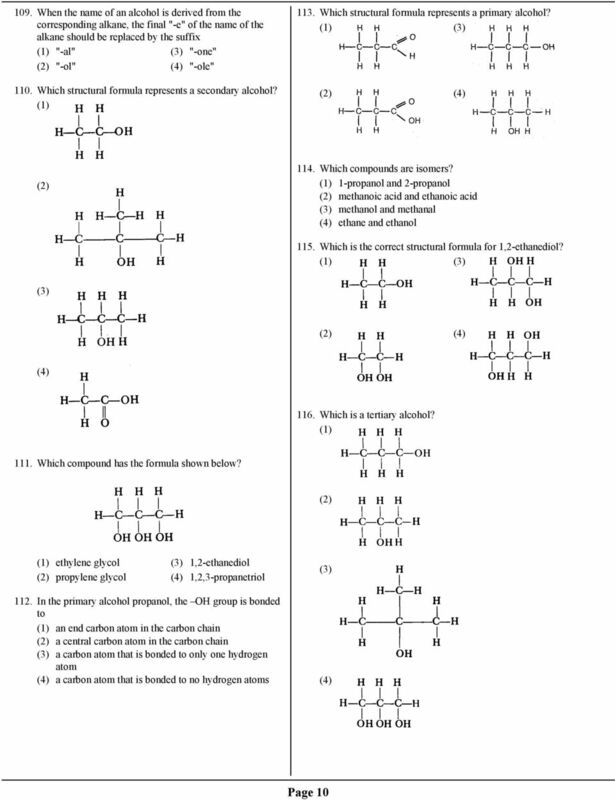 8 Carbon Chemistry Outline for 8-2 Carbon Compounds Structure of Hydrocarbons Carbon chains can be straight, branched, or ring shaped. Hydrocarbons with 2 or more carbon atoms form straight chains.